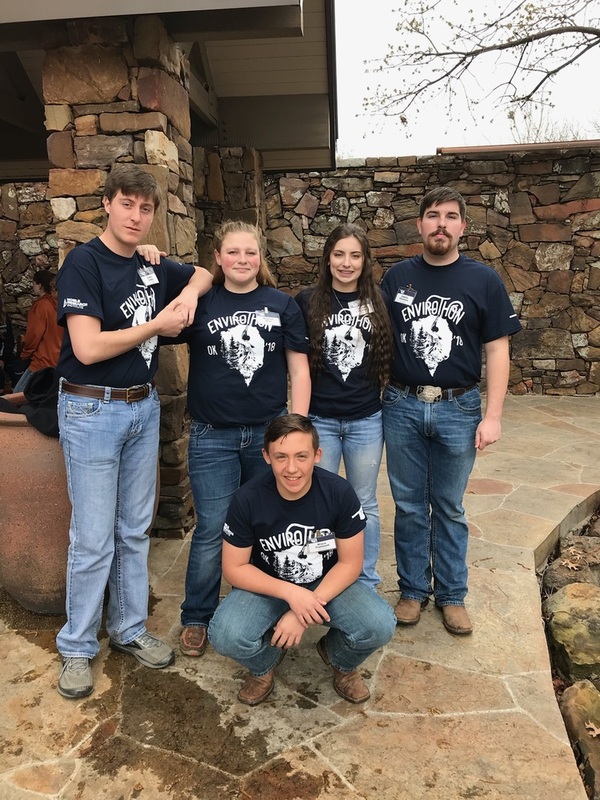 Ninnekah High School takes 1st place in 2018 Oklahoma Envirothon! They will represent our state in the international competition this summer in Idaho! 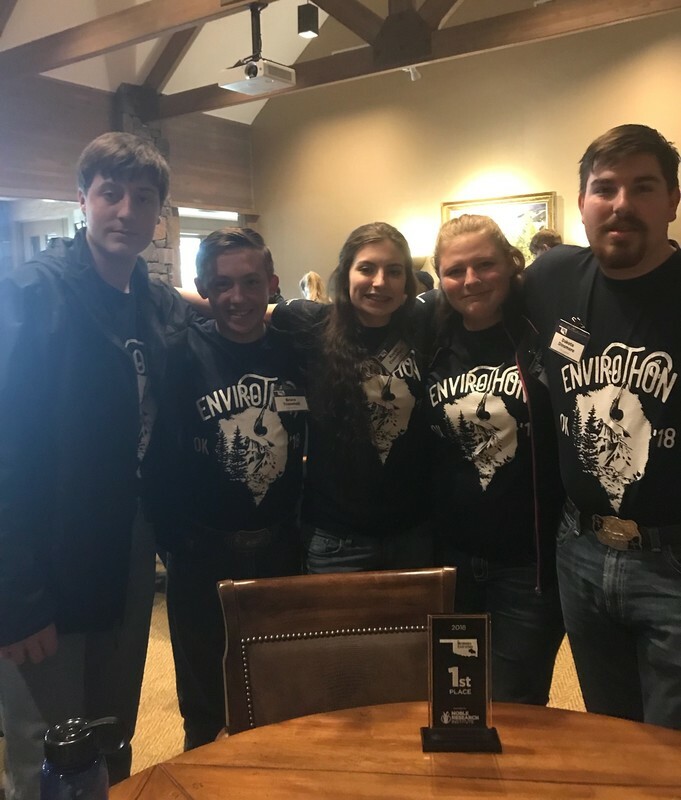 The NHS Envirothon team also represented Oklahoma in last year's international competition in Maryland in July 2017. This year's team members include Caden Smith, Bruce Trammell, Kaylee Crutchfield, Madison Mink, and Dakota Dinsmore. They are under the direction of High School Science Teacher Connie Taylor. Congratulations on a job well done, and good luck this summer!